Eye bags, dark circles, tear troughs we all have our own name for circles under the eyes. No matter what we call them they are unwanted and are one of the first signs of ageing and so oftentimes the question is not what do we call them but how can you remove circles from under your eyes? In this post we’ll discuss what causes circles under the eyes and show you how to remove them. What Are Tear Troughs / Circles Under Eyes? Tear troughs are found in the area under the eye that extends to just above the cheek. For many of us these tear troughs can be can be deep and create dark circles under our eyes. This also creates a disconnect between our eyelid and cheek. Having a deep tear trough or circles under the eyes is one of the first noticeable signs of ageing, and can make us look more tired and older than we really are. Removing the circles under eyes can be a great way to reverse the signs of ageing. As we age the fat pads on our face begin to lose volume and deflate causing a dip under our eye. Just a 1 mm droop under the eye creates the circles under the eyes which can age us 10 years! 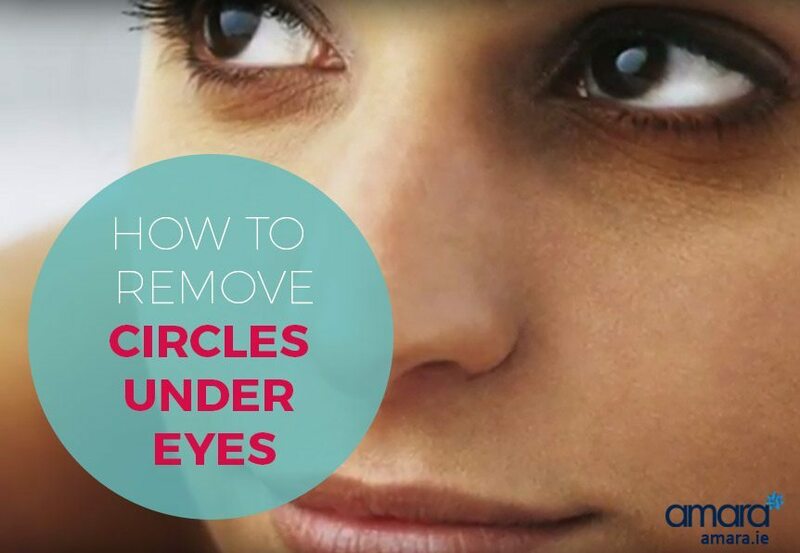 Check out our video below where Dr. Paul explains what causes circles under the eyes and how you can remove them! So there you have it, removing circles under the eyes is a simple enough procedure! In about 20 minutes you can remove those under eye bags and have results for over a year! Give us a call now on +353 1 676 1074 or contact us online to book in now for your free consultation! Hi can you send me a pricelist on removing dark eye circles. Hi just asking in 1m is good for to eye? What that name ok that juviderm? Juvederm is the brand of filler we use at Amara, usually for under eye 1ml is used. Do you use 1ml under EACH eye? Hi Leah, Usually a half a ml is used under each eye however this would depend entirely on the person.